Ludde Ingvall’s super maxi CQS now leads the fleet in the RORC Trans-Atlantic Race, having taken an early gamble on a southerly route which seemed to defy the weather predictions. 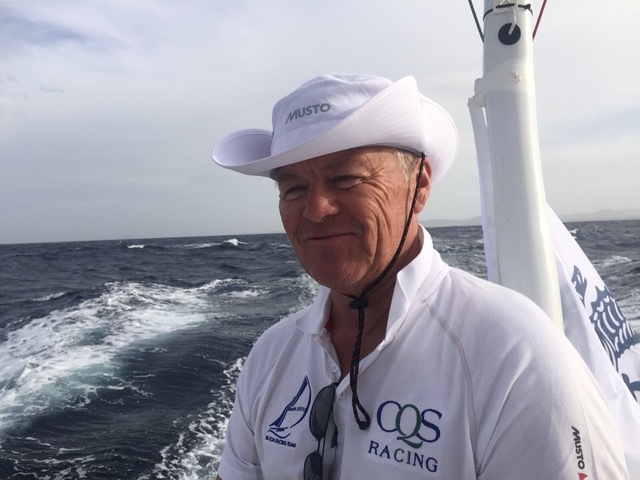 Heading south as soon as possible after the start, CQS was not amongst the front runners for the first five days of the 3,000 nautical mile race, while those that had chosen the northern option seemed favoured. Since the start of the race on 25th November the tactics have been polarized, with the majority of the fleet opting for a northerly route, and looking good initially. With a divide of 800 nautical miles between the most northerly and most southerly boats in the fleet, Ludde’s early sacrifices in heading south are now paying dividends as CQS surges towards the finish in Port Louis, Grenada, some 2,000 miles away. Only two days ago the CQS team were fifth in the race for line honours, but having found the breeze they wanted have now grabbed the advantage and are in a very strong position. The team made a great start in Lanzarote, leading the fleet at the first mark, but then while others chose a more northerly route, Ludde dived south, using his experience from over 15 Atlantic crossings. For several days the boats in the north were making better progress towards the finish, but yesterday it all changed and the advantages of going south became apparent. There is of course still a long way to go in this race, and the wind gods can be both fickle and devious, but at the moment the Trade Winds look stable, and will hopefully provide a good ride to the finish.